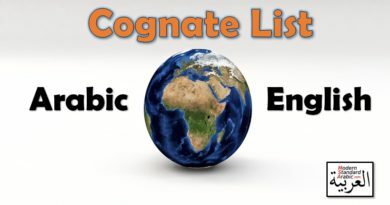 Watching Arabic videos is an excellent way to learn and absorb Modern Standard Arabic. There are some excellent teachers on the web, with thousands of videos to choose from. 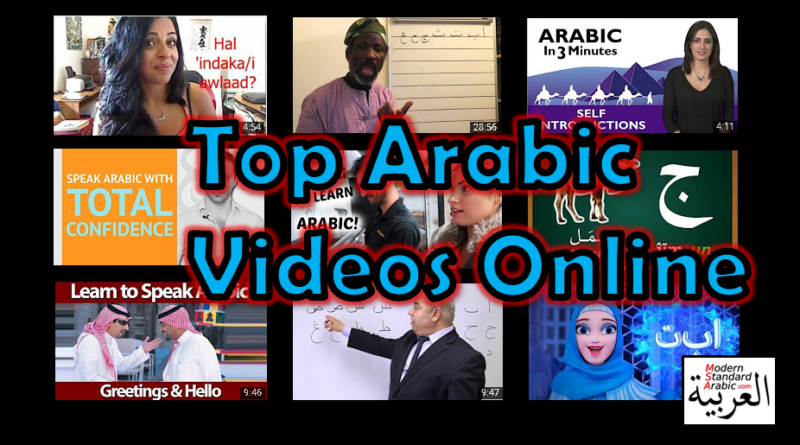 Here we lay out the top 10 video sources to learn Arabic online! Maha is not only an amazing Arabic teacher, she is beautiful and fun as well! You can’t help but enjoy learning Arabic from her. She has hundreds of videos posted, and maintains an active Facebook profile. Her blog also chronicle her lessons. The lessons focus on Modern Standard Arabic, and she has separate modules for speaking, writing and general Arabic learning. The good doctor offers up 18 lessons of solid Arabic material. This course covers the foundation from the beginning, with the Alphabet and personal introductions. Plenty of drills and repetition to help solidify your understanding. The book for the course has excellent exercises and video support. Imran is lively, and keeps the material interesting and moving. Each week is a new topic, with lots of related vocabulary and examples. From weather, to the movies, to love and emotions – lots of diverse uses across many situations. Videos have visual support for sentences, with both Arabic and English captions. ArabicPod101 brings a level of professionalism and high-quality video editing to their new BootCamp series, which offers language basics and overviews. Great for an introduction or even a refresh. 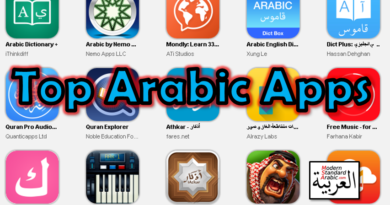 Additionally, ArabicPod101 offers plenty of other materials, such as vocabulary videos and intermediate/advanced videos. Plenty of content posted online from Nassra. Focuses on Levantine dialect; plenty of useful tips and language instruction from the series. Plenty of repetition, quality videos, and clear sound. Dozens of simple conversations with cartoon illustrations and English subtitles. Some are funny, and help to solidify basic conversations you will hear. Here is an excellent example of an online language lesson done correctly. This video covers two primary topics, solving problems and colors. The materials are prepared in advance, explained properly, and incorporated into examples and context. These lessons are basic, as the instructor literally teaches and interacts with a child. Lessons move through parts of speech and sentence structures. So easy, a child can learn it, right? Yusef really has too much fun teaching Arabic. You will very likely find yourself laughing out loud as he goes through the basics of the language in a lively and fun manner. If you are looking for something a little more involved, look no further than the complete course offered through the Madina series. Literally, hundreds of hours of instruction are available online, spanning 3 courses, taught by Asif Beherali. The course is in depth, and the instructor is very knowledgeable. Once you get more advanced in your studies, it is useful to watch materials like the video below. The conversations are repeated multiple times, with subtitles and later explanations of the words.